Thanks to the vibrant competition present in the virtualization space, many Engineers find themselves always transitioning to the next version of their virtualization solution. During such a transition, management (and hopefully the engineers) want to know who’s using the new system and if users are still accessing the old one. In many cases this can be a trivial exercise, but for this scenario we’ll make it more complex. The networking team has intelligently organized its user’s locations by subnet. In fact, due to number of users and available IP’s, each floor at the main location has it’s own subnet. 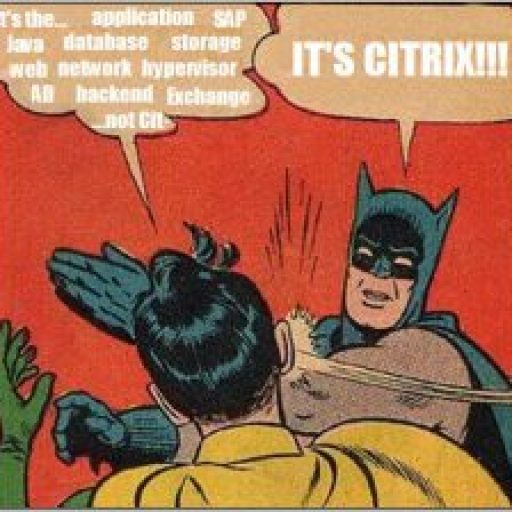 Recently, Citrix users at the main location were transitioned to the new environment, except for a subset who had legacy applications that would not work in the new Citrix farm. Management wants to know many of the transitioned users are using the new system. Since we are using published desktops in both the old and new Citrix environments, EdgeSight (version 5.3) does not provide an easy way to query desktop launches (see this post on EdgeSight Under the Hood for how to get a query of published desktop launches). In this case, we have a different naming schema for the servers in the new farm, but since there are many different locations connecting back to our Citrix farms, we need to just select the users at the main location. This will require us to filter the users based on their IP subnet. While researching this issue I found that dealing with IP addresses in Transact-SQL is a common problem. Luckily there is a built-in function called PARSENAME that parses object names like ‘servername.databasename.schemaname.objectname’. Since IPv4 addresses follow the same convention, you can reference each part of the octet in an IP address. Hopefully this will provide you with some more options when you need to present data from your EdgeSight database. As always I welcome any and all questions and comments.